Eastern Terminus: Junction of PTH 100 (Perimeter Highway) near Oak Bluff. 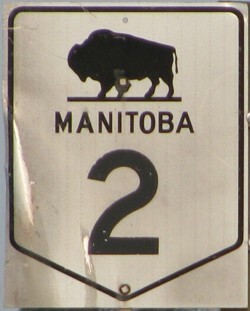 Western Terminus: Saskatchewan boundary 10 km west of Sinclair. Multiplexes: PR 334 follows PTH 2 for 4 km west of Oak Bluff; PR 242 follows PTH 2 for 4 km east of Treherne; PTH 2 follows PTH 10 for 5 km south of Brandon; PTH 2 follows PTH 21 for 8 km west of Souris; PR 256 follows PTH 2 for 4 km east of Sinclair. 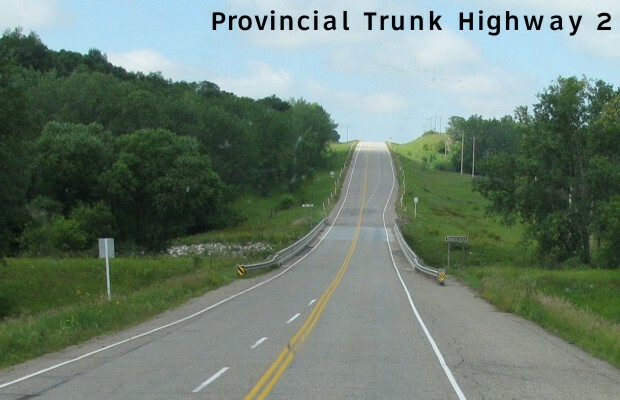 PTH 2 travels in a east-west direction from Oak Bluff in the outskirts of Winnipeg to the Saskatchewan border. The highway is two-lane and undivided for its entire length and passes mostly through farmland. 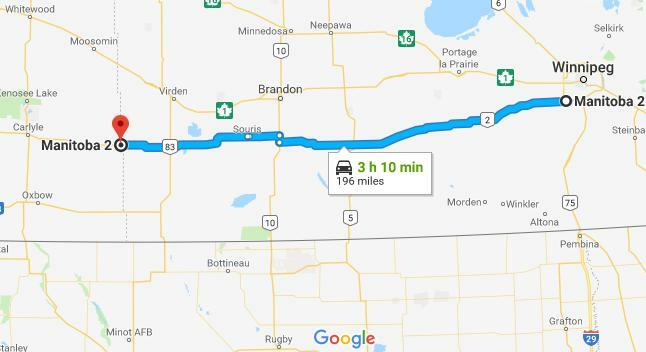 The route does not pass through any major populated centers, but the more significant towns it travels through are Treherne, Glenboro, and Souris. Click here to show the route. The route is officially known as the Red Coat Trail and ceremonial markers are placed at major intersections. 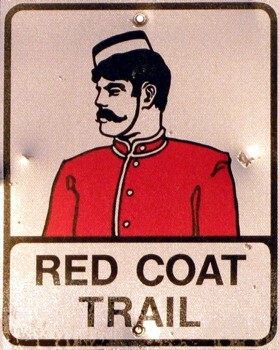 The Red Coat Trail designation commemorates the march of the newly-formed North West Mounted Police across the prairies in 1874 that roughly followed the route of present-day PTH 2.